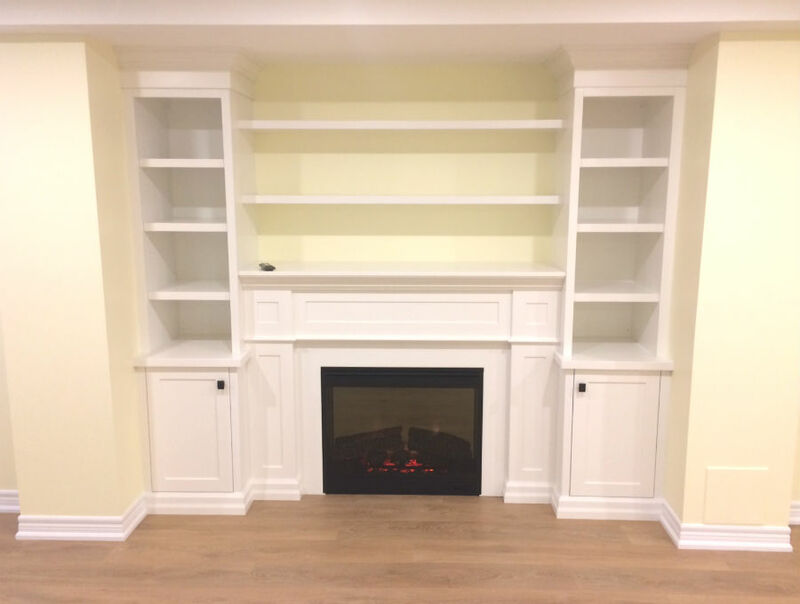 This Burlington wall unit was part of a large home renovation project. Our client wanted a new wall unit to be exactly centred between the two columns. We provided a perfect balance with the fireplace surround, lower cabinet doors and open cabinet shelves above. Hope you enjoy the end results!